*One or more photos were virtually staged. 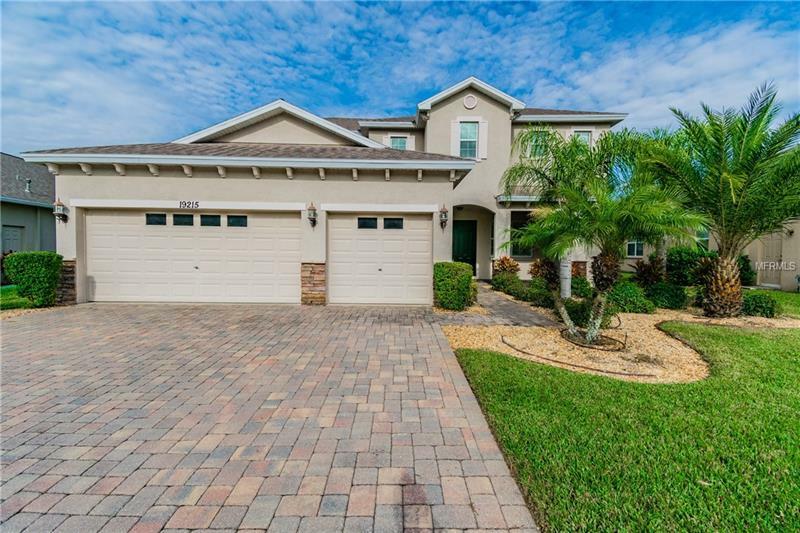 * Meticulously maintained home that shows like a model! Upon arriving you will notice that this home is truly exceptional as the exterior features paved driveway & a large front porch surrounded by lush landscaping. As you enter the home, you will be greeted by a bright foyer with an arched entry that leads into the spacious Formal Living Room with beautiful views of the outdoors. Formal Dining room provides plenty of room for special family gatherings. The light & bright Family Room is open to the kitchen, with peaceful views of nature. The Kitchen features granite counter-tops, custom tile back-splash, wood cabinets, pantry, & cozy breakfast nook. The first floor offers double doors that open into a guest bedroom which can be used as your private Den or a secondary Family Room! Second Floor has an open loft, elegant Master Suite with tray ceilings, walk-in closets, Plantation Shutters, sliders that lead to private balcony, dual sinks, granite counter tops, over-sized shower & garden tub. You will also find 3 additional well sized bedrooms & 3rd Bath. Relax outside on the covered lanai while watching birds & deer in your own private oasis. Spend time enjoying the natural gas fire-pit, perfect for entertaining & enjoying the Florida lifestyle! Don't miss out on this beautiful & spacious home! LakeShore Ranch has a 3 resort-style pools, fitness center, dog park, playground, fishing dock, & much more! HOA Fee includes cable/internet. CDD is included in taxes.